I have had to cut down how many dates I play here per month but the food still good, people variable and it's in a unique position. Hosts and landlords Candido & Sandra are mostly absent now, except Candido still cooks and pops his head through, but Rafael the newish maître d' makes you feel more than welcome and the whole place is still run to very high standards. 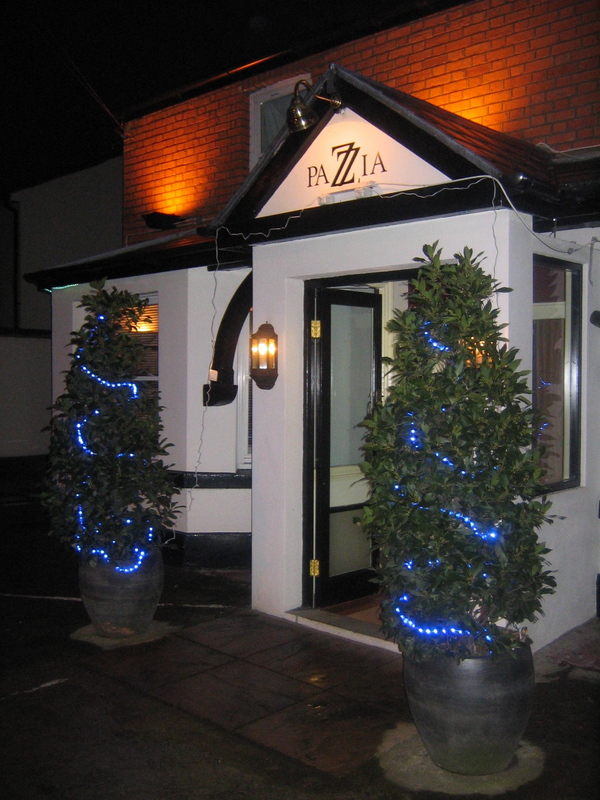 Now that's probably the most I've ever written about PAZZIA, apart from the fact that Candido seems to see the 'live music' aspect as very much part of the scene and I was fairly reliably informed by a regular gentleman and demolition expert, Vincent, that before turning 'Italian', the site was a pub where the likes of Ringo Starr saw his son Zak perform in the odd rock band or two! Practically next door was John Lennon's mansion which he used to write 'IMAGINE' in, and somewhere inbetween was another pub where The Beatles rehearsed in the very early days. I feel right at home knowing all of this..!